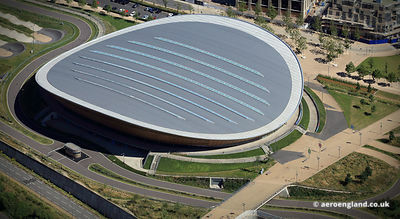 aerial photograph of the Lee Valley VeloPark, Queen Elizabeth Olympic Park, East London. 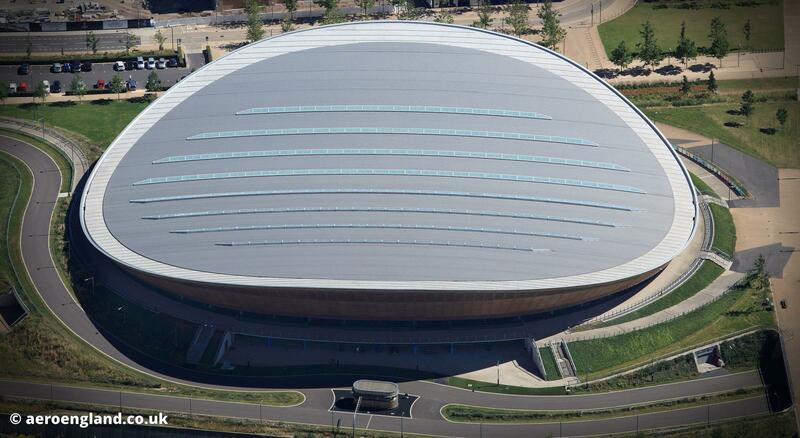 Built as part of the Olympic Games the building was opened as a public Velodrome in 20014. The Architect was .Hopkins Architects, Grant Associates.